What started as a land diving ritual in southern part of Pentecost Island, Vanuatu, has become a popular adventure sport worldwide known as bungee jumping. A.J. 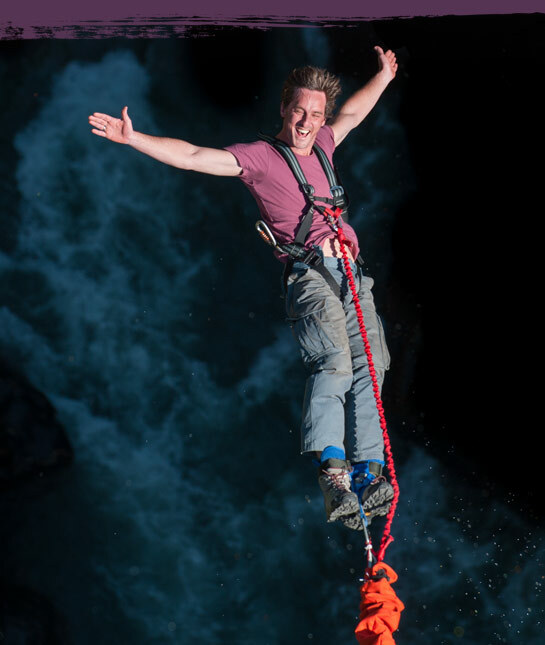 Hackett, a New Zealander started the first commercial bungee jumping site in New Zealand. Bungee jumping has taken off since then, with facilities opening up in many countries all over the world. Bungee jumping is one of Nepal’s most famous adventure sports. The Last Resort, about 3 hours’ drive from the Kathmandu Valley, was the first bungee jumping establishment in Nepal and it has the highest bungee jumping drop in South Asia. Standing at 160 meters, the podium, on a suspension bridge, overlooks a deep canyon with the wild and ferocious Bhotekoshi River swirling in the gorge below. The adrenaline rush reaches its peak as people free fall for 3-4 seconds. A recent establishment, near to the lakeside Pokhara, High ground adventures offers a bungee jump off a tower that stands at 70 meters.